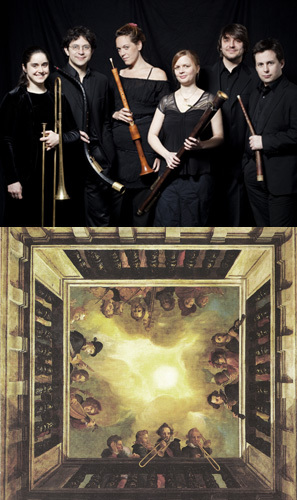 A selection of pieces with their origin in different European countries, that illustrates the transition of instrumental music from the ricercata of the early 16th century to the sonata from the middle of the 17th century. In this programme, the listener can experience the different instrumental styles, including the vocal music, sacred and profane. In numerous sources vocal works are destined for the performance on groups of instruments. 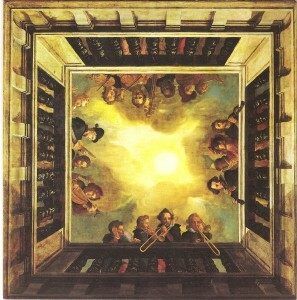 For example in the French chanson “Onques Amour” form the collection “canzon di diversi per sonar con ogni sorte di strumenti, Venetia 1588” by Giacomo Vincenzi. Or in the anthology by G.F. Sances, listed in Vienna, that is unfortunately lost and where the instrumental version asks for two mute cornetts and three trombones. Works by Thomas Crecquillon, Giovanni Maria Nanino, Girolamo Frescobaldi, Daniel Speer, Giovanni Pierluigi da Palestrina a.o.